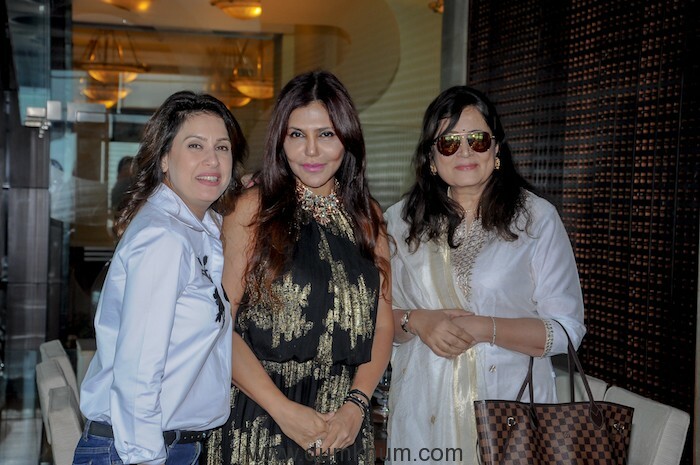 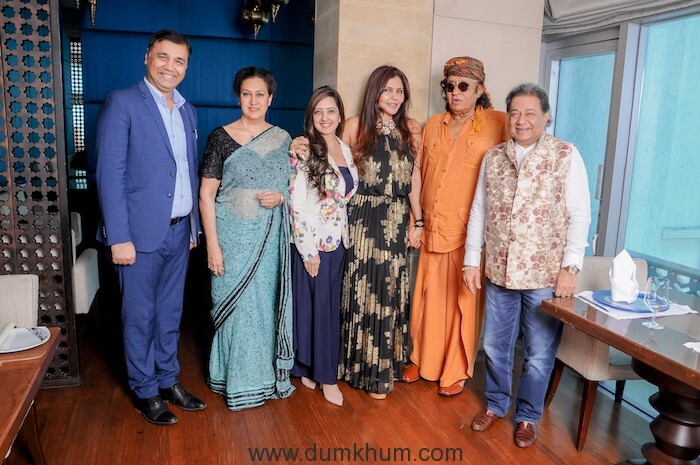 Celebrity columnist and social activist Nisha JamVwal hosted a swish sit-down lunch along with a panel discussion on the subject of ‘Connecting Rural India through Technology’. 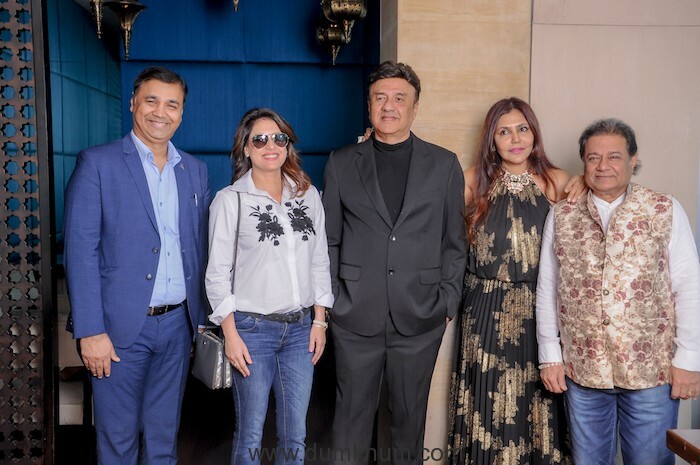 For Detel Foundation and its founder Yogesh Bhatia at Bombay’s best rooftop restaurant Souk, for select friends, over a seven course gourmet lunch. 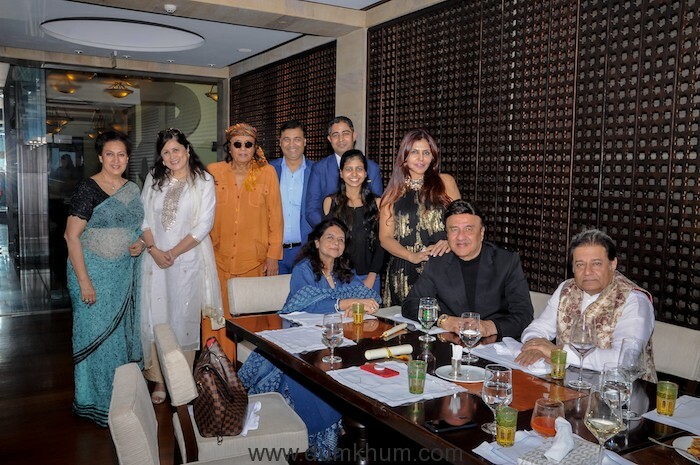 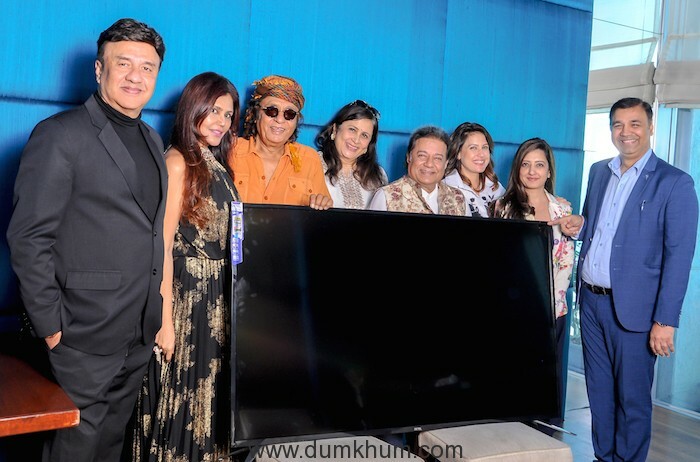 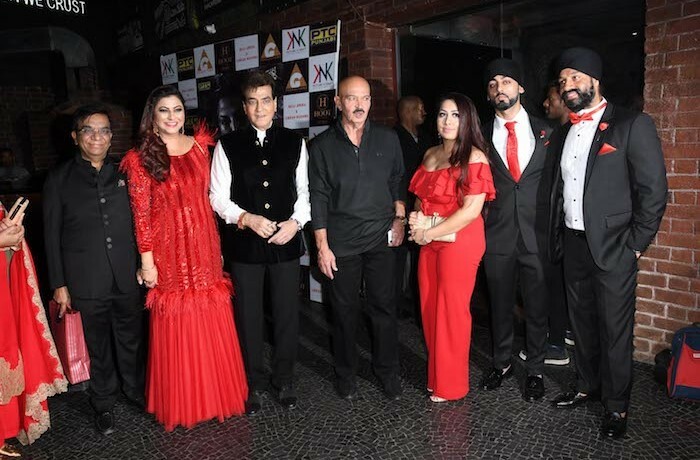 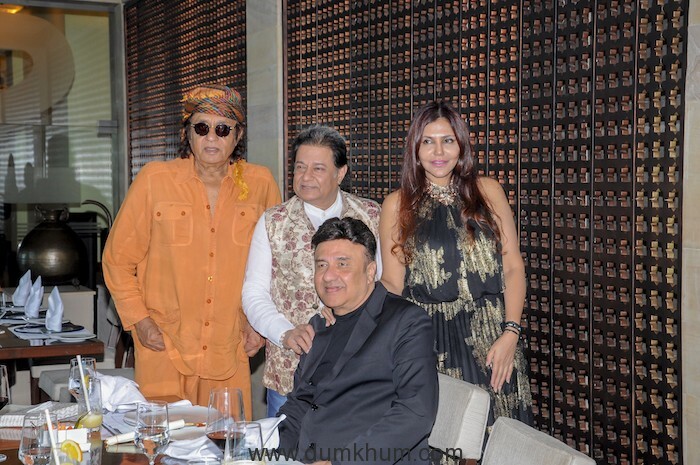 Guests comprising of famed celebrities Anu Malik , actor Ranjeet, ace lawyer Mrunalini Deshmukh, maestro Anup Jalota, chef Amrita Raichand, courtier Amy Billimoria, Shashi Bansal, Naazi Bedi engaged in the panel discussion. 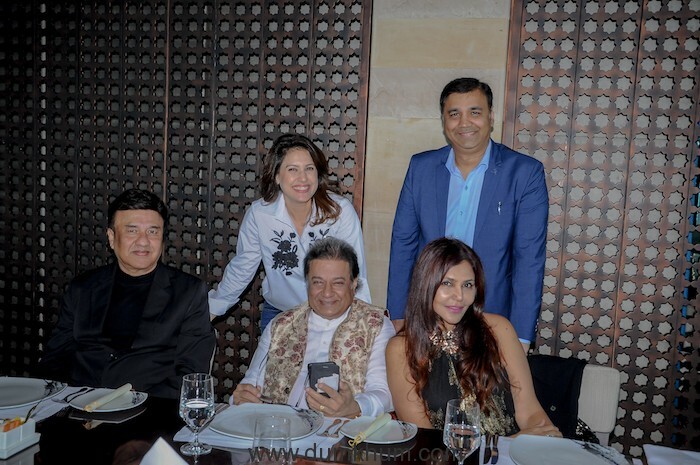 On the importance of technology and telecommunications in skill development and improving education in India’s tier two, tier three towns and villages as they dug into the delectable cuisine. 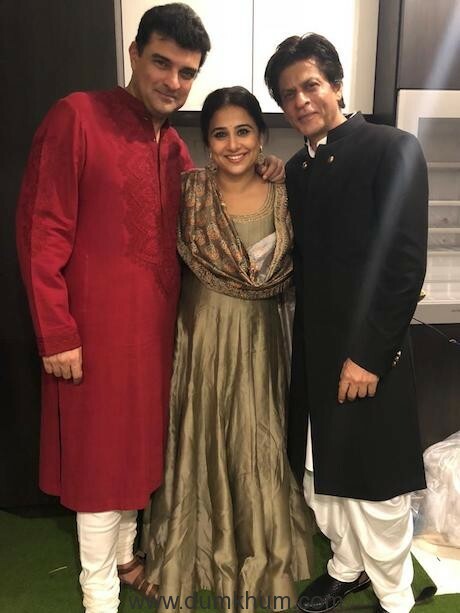 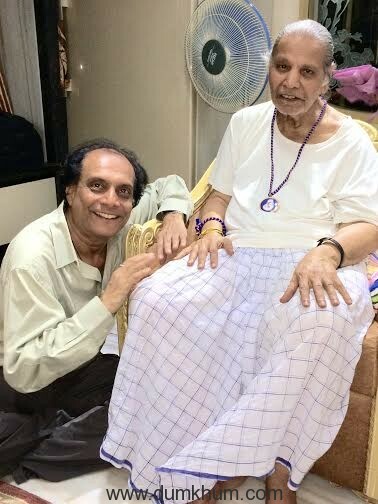 JamVwal, looking gorgeous in a gold lamé slinky creation, shared “I believe India is not its cities but its villages and there must be rural development and women empowerment in tier two and tier three cities for the country to forge ahead.